Today’s Padua is a very wealthy and lively city of Veneto of about 210,000 inhabitants, hosting thousands of college students from all of Italy and abroad, and rich in cultural life, clubs, pubs, stores. History and modernity live together in harmony. 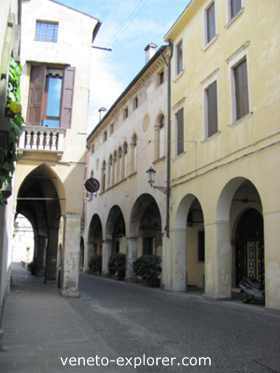 The city boasts one of the oldest Universities in the world, founded in 1222, where scientists of the likes of Galileo Galilei lectured: nowadays, like in the Middle Ages, the medieval Palazzo del Bo hosts its administrative seat, besides the most ancient well preserved anatomical theatre. Unlike a decade ago, the historic centre is much quieter and livable, thanks to the active traffic regulation policy pursued by the municipality. 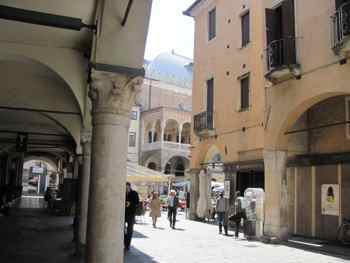 It is a town full of ancient arcades and porticos, and its center still shows a strong medieval structure. Just the centre of Padua deserves a good amount of your time. 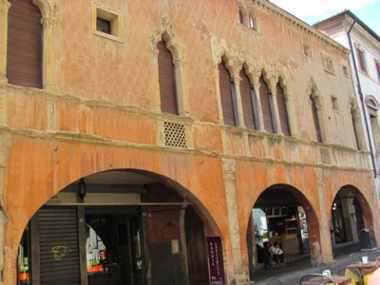 Have a look here at some of the worth seeing attractions in the historic center , from the imposing Palazzo della Ragione, considered in the Middle Ages a masterpiece of architectural boldness to the Loggia del Capitanio. Another short itinerary encompasses the celebre Caffè Pedrocchi, the Eremitani church and the Scrovegni Chapel, likely the most important attraction of Padua. I also recommend you visit the medieval Basilica of st Anthony of Padua for its great artistic value. You might be interested in the story of St Anthony as well, whose remains are preserved in the Basilica. The link between Padua and the Portuguese friar is so strong that the Italian town is nicknamed Città del Santo. Padua is a city of Science: it hosts the most ancient anatomical theatre of Europe, and the most ancient University botanic garden as well, with over 6000 types of plants. The garden is very beautiful and interesting, hosting also centuries old trees. Do not even miss the Astronomical Observatory,with an exhibit of ancient telescopes. 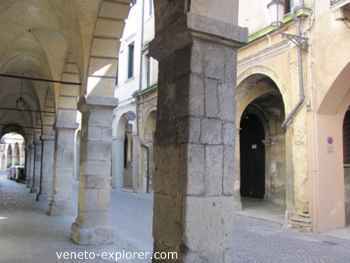 3 things to do in Padua for the science lovers! Padua Italy - Padova in Italian, with accent on the first a - is located 40Km/25miles west of Venice, in the Italian region Veneto. It is a very ancient town, which became a Roman municipium since 45 BC, turning soon into one of the most flourishing centers of the Roman Empire. Just a few of the roman remains are left in this days and age: the walls of the ancient arena, along with some bridges. Many of them are not visible any longer though, as they are now buried underground. 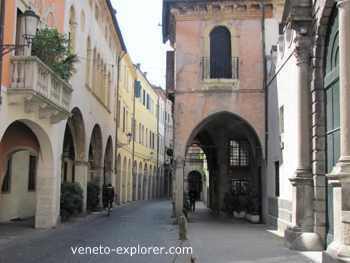 After having been heavily plundered by the Barbarians over the centuries at the time of the Roman Empire decadence, around 1000 AD Padua became a powerful municipality and see. Later on, in 1405, it passed under the dominion of the Venice Republic - the Serenissima - until the fall of the maritime town empire in 1797. 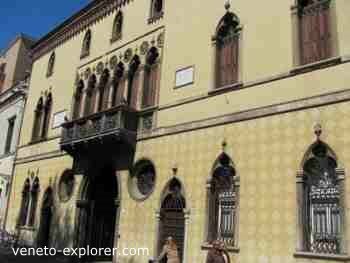 Padua Italy, since the Middle Ages, grew into a prestigious cultural and scientific centre. 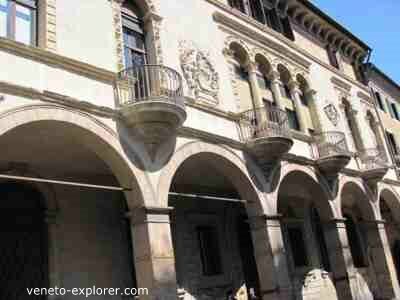 Its University, that soon became internationally renowned, was one of the main tools of the cultural politic of Venice. In 1592, until 1610, the Tuscan scientist Galileo Galilei, taking advantage of the more liberal ambiance in the Venice republic territories, moved there and took up a position as Professor of Mathematics (geometry and astronomy)at the Padua University, one of the most ancient in the world, founded in 1222. In 1594 an anathomical theater was built, used until 1872. It is the most ancient still preserved theatre of its kind. Some of the greatest medieval and renaissance artists as well, such as Giotto, Donatello, Mantegna, contributed significantly to the development and spread of art in the wealthy Padua of the time. At the foot of the enchanting Euganean hills, if you want a relaxing getaway away from the crowds just a stone's throw from Padua, there is a very beautiful medieval monastery, the Abbazia di Praglia (Praglia Abbey). Enjoy a relaxing getaway in the unspoilt Euganean hills and in the well preserved medieval town of Arquà Petrarca : you'll find a corner of Middle Ages both in the enchanting village and in the still bucolic surrounding landscape.